If you’ve ever wondered how to cook a spaghetti squash, that makes two of us. 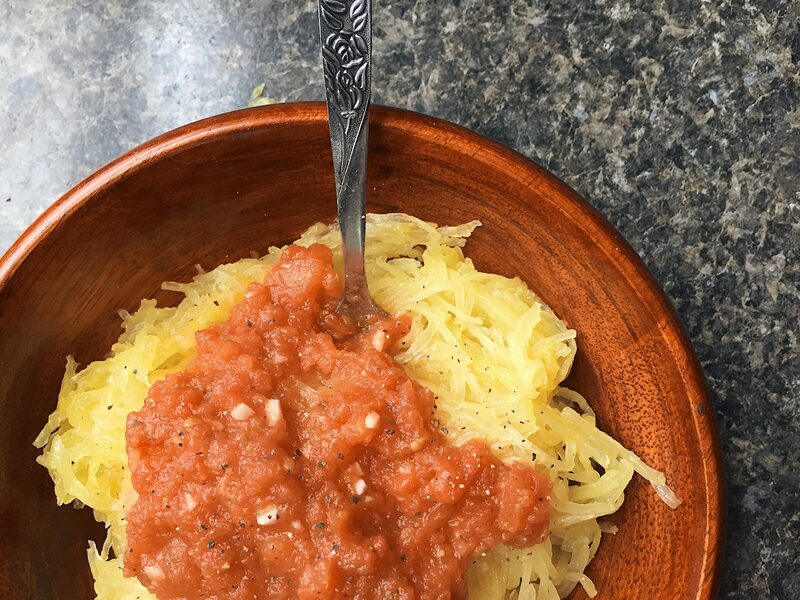 Spaghetti squash is a really great substitute for when you’re craving a bowl of pasta. The vegetable was named after the texture of it after its cooked (see photo below), and although it most definitely does not have that starchy, carb-y taste we all know and love, its nutritional profile makes it a healthier alternative! 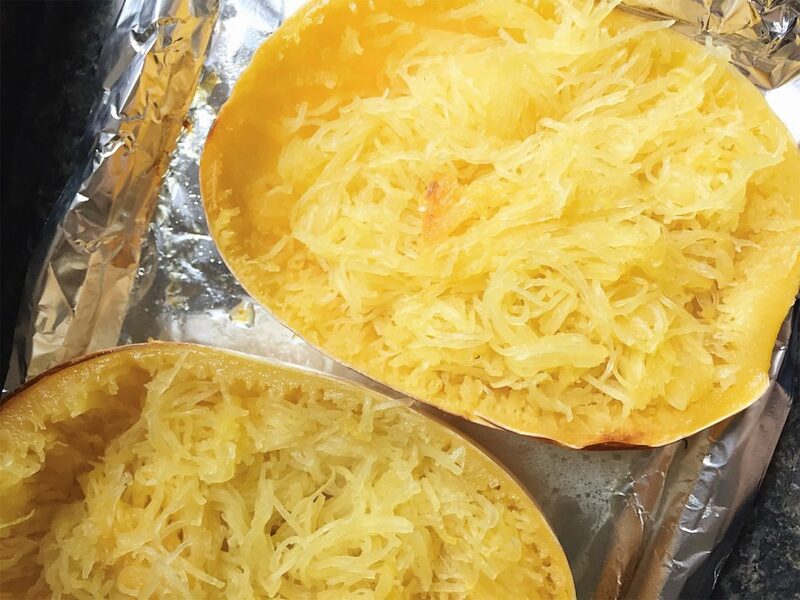 Aside from being lower in calories and carbohydrates, spaghetti squash is also packed with Vitamin A (for healthy eyes) and Vitamin C (for strong bones and teeth). When I first tasted spaghetti squash, it had a very bland taste which means you can cook it with pretty much whatever you have on hand! It can act as a side dish (preferably at Thanksgiving?) or make it as the main course in a vegetarian meal! I had canned tomatoes on hand, so I combined garlic, olive oil, oregano, red pepper flakes, and the tomatoes in a blender to create a super simple tomato sauce. The recipes are endless when it comes to cooking with spaghetti squash, so be adventurous and see what you can come up with! Preheat oven to 400 degrees F. Prepare a baking sheet with parchment paper or foil. Once your squash is halved and scooped, sprinkle salt over the halves and let sit for twenty minutes. This draws out some of the moisture, making it less mushy later on. Wipe off the moisture, then drizzle olive oil and salt over the interior. Place cut-side down on the baking sheet. 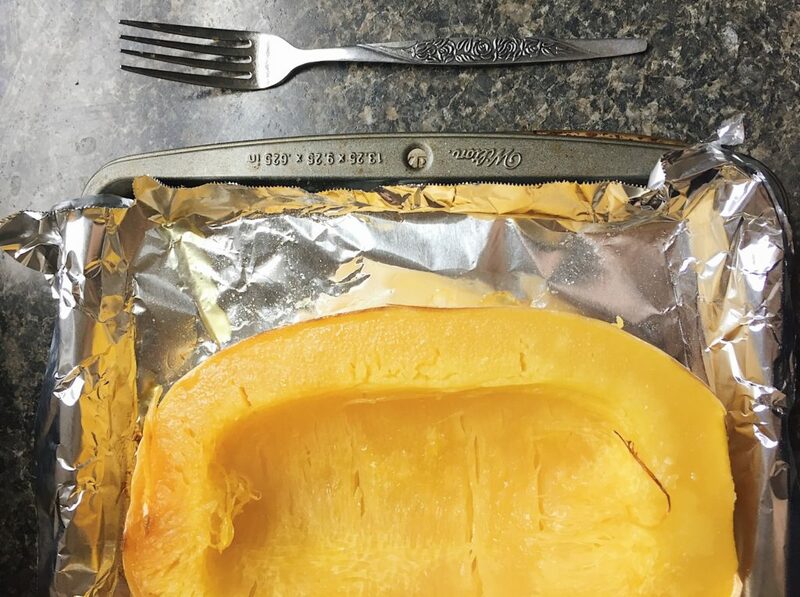 Roast for 45 minutes, or until you can easily pierce the skin of the squash. Once cool, flip the squash over and scrape the inside to create a string-like texture.